After ‘Point Break’ this is the second movie I have seen in the 4DX format. And straightaway I must say that the experience was even better than last time. 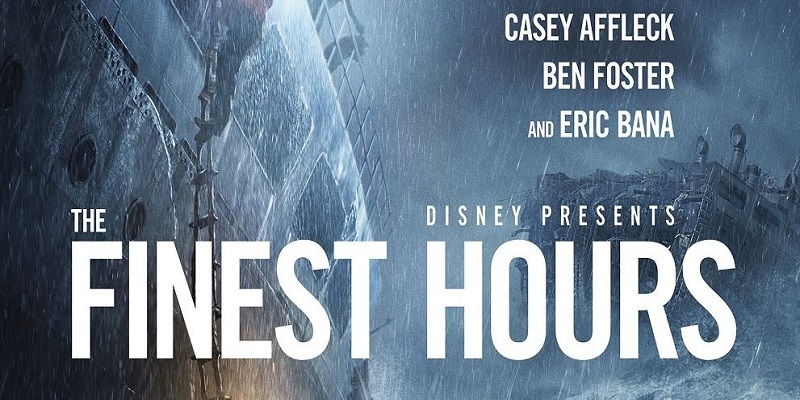 This time the movie was set in a storm in the middle of the sea in cold weather. So whenever the ship rocked or the sea itself was rolling because of the waves, not only the seat swayed and rocked but the endeavour was to make the experience more real and to make the audience feel how the crew was feeling out there. So blasts of supercool air were blasted at us while the seat rocked and I had to unroll my shirt’s rolled sleeves to keep the biting cold off my arms. As lightning lit up the screen , flashes of bright white light lit up the whole theatre. When fires broke out on the ships , the flashes of light turned yellow. As the sea waves sent sprays of water on the ships, mist was fired from canisters in the theatre. Imagine sitting on a rocking and swaying seat with flashes of bright light filling up the theatre and blasts of supercooled air being fired and mist being fired from canisters- the experience was coming close to being on a ship in the middle of a storm. As the end of the movie neared I was feeling slightly nauseated because of the swaying and rocking of the seat as the sea rolled in front on the screen- I was having a mild version of motion sickness, as if I was on a real ship caught in a seastorm. The 4DX experience is costlier however, as tickets were priced double that of the same movie’s non 4DX shows in the same theatre even though the non 4DX shows were all 3D. So onto the story. This is based on a real life incident that happened in 1952. A crewman of the coast guard (played by Chris Pine) gets proposed to by a girl (played by Holliday Grainger) and after initial hesitation he accepts the proposal, even though he gets taunted by his mates that the girl is ‘wearing the pants in the house’ because she is the one who proposed first. He is such a stickler to the rules that he goes next day to actually ask the permission of his boss to get married. But the same day a storm breaks out and he is sent on a rescue mission by his boss to save the crew of a tanker which has run aground and broken in half after being caught in the storm. So will he and his men manage to save the crew? Watch the movie for that. The movie creates an atmosphere of layers of snow on land to the extent that the countryside has gone white. On the sea the situation is even worse. Giant waves roll the sea and lash at the ships in howling winds. The sailors are all drenched. Because of the terrible atmospheric conditions, the spectre of death by drowning haunts both the rescuers and the ones to be rescued. So much so that the leading actor’s girl implores his boss to turn him back from what seems to be a suicide mission of saving the men on the ship that has run aground, something that would seal the fate of the crewmen of the stranded ship. The boss himself receives taunts that he is new to the area and does not understand the risk of sending the men on a rescue mission in such weather. On board the ship to be saved the water level is rising and the men on the brink of tragedy. Yet they do not lose hope. But the rescue boat has capacity to hold only 12 men while the men to be saved number 36. As the yellow floodlight of the rescue boat searches the sea, the compass goes off as a huge wave crashes the boat and nearly turns it upside down. The situation is really grim. The seafaring world is largely a man’s world, but the emotion in the movie is increased by the worries of the women who anxiously wait for their men on the shore. And both are much needed in the movie- the emotions and above all the women. Acting by everyone is realistic enough. Photography and special effects in the movie are decent, but 3D is disappointing. What rocks is 4DX. In fact I wonder if those who don’t watch the movie in 4DX will enjoy it as much as I did.